This week I’ve taken a slightly different approach to Wish List Wednesday. My wish list was made up of clothes and make up, it was had a distinct fashion vibe. This week I’m going for books. What do I want to read over the next few weeks? I adore reading whole-heartedly, but don’t devote enough time to this hobby, which is terrible on my part. As an English teacher I read a lot for work, but these are always curriculum based texts, and I want to start to read more for myself. I’m sick of the only books on my reading list being those that there’s a “Cliff Notes” version of! My reading wish list begins with The Girl Who Wasn’t There by Ferdinand von Schirach. It’s a thriller by the acclaimed author (of The Collini Case), about a controversial artist who ends up being accused of murder. It’s reported to be a chilling novel, which will provoke a lot of thought. I can imagine reading this on an Autumn night, curled up with a hoody on my back and a cup of tea in my hand! The Shepherd’s Life by James Rebanks is an unusual choice for me, but being a Lake District lass, I am intrigued into the inner workings of those people who are an integral part of our community. This book is about someone who is working to stay in a place, during a time of upheaval for many people who are trying their best to get out of their homes! Other than the fact that I find Polly Vernon to be one of my icons and inspirations, this book promises to deal with “modern feminism”… Having empowerment through our looks. I am a firm believer in this. Be happy in your own skin. It’s not shallow, nor is this playing into the hands of men or the media. I dress for me (or sometimes for other women), and for my own confidence. This book is about wanting to look good and not feeling guilty for that. I’m sure this will be a refreshing read! Controversy at it’s best! What happened to women during Hitler’s reign? This is something that I hadn’t really thought about, until now. 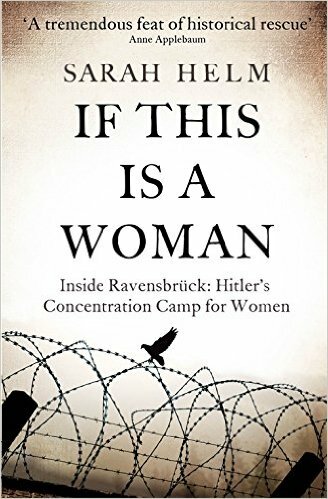 Sarah Helm‘s insight into Ravensbruck explores what life was like for women in this concentration camp. Women from all walks of life were marched into this place by other German women, and were treated abhorrently. It will be a harsh but riveting read into this world. Keeping with the theme of war, Fashion on the Ration looks into why women during WW2 found fashion to be a necessity, rather than a flimsy hobby. How did fashion change the face of this era? Why did women depend so much on fashion? Hollywood was no longer the only influential force in fashion. The “make-do-and-mend” approach (which is still instilled today) influenced what women wore during this time of unrest. 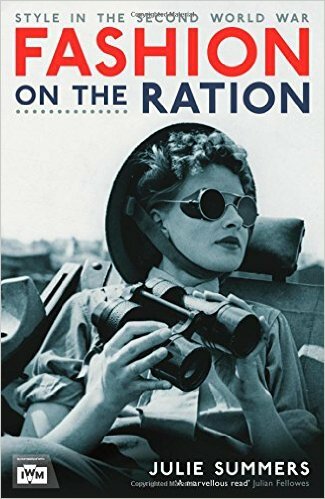 Beautifully illustrated and full of gorgeous detail, Fashion on the Ration lifts the veil on a fascinating era in British fashion. Well done Julie Summers! My wishlist for this week is to read, and read quality books. I will forsake a new lipstick, or the latest trends, if it means that I get to enjoy a good book (or five). PreviousPrevious post:Candy crushesNextNext post:Liebster award nomination!